Alone is a short horror film, so short in fact that it is the slimmest one I have ever done a review of at just over 2 minutes long. A quick search reveals that 'Alone' is an extremely common name for a short horror with at least five coming out just over the past year, so this one would need to stand out. 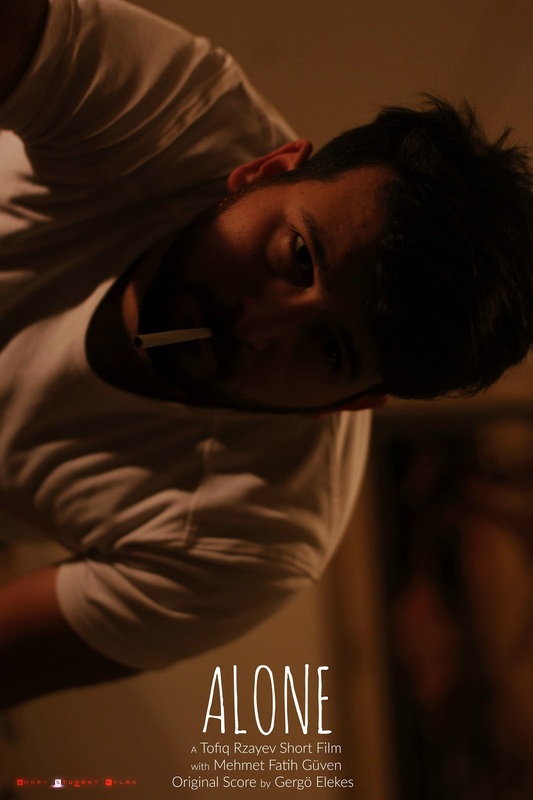 This film was made by Tofiq Rzayev and is about a man who is relaxing at home seemingly on his own. However he glimpses something in the reflection of his TV screen. Obviously at such a short length this is designed merely to create chills and to a certain degree it does. The method of seeing an out of place figure or shape in a reflection has been done many times before so in terms of originality this doesn't do anything special. On the plus side it was an enjoyable two minutes even finding time to fit in a lights out sequence, though ends the same way as the vast majority of very short horror films do. I enjoyed the filming, there was a good sense of isolation for the hapless man, I also thought he did a fine enough job as he reacts more quizzically than over the top frightened. Elsewhere the music by Gergo Elekes is fitting bringing to mind Ennio Morricone's The Thing theme tune and it was good to see the music wasn't constant during the short with some effective tension building moments of silence. Overall there isn't much more to say, Alone is a decent enough horror short, though not one that will be anything you haven't seen before as it follows a template a little too closely. It is on YouTube and isn't private so I will include it below for your viewing pleasure and at just two minutes surely everyone has time to watch this?